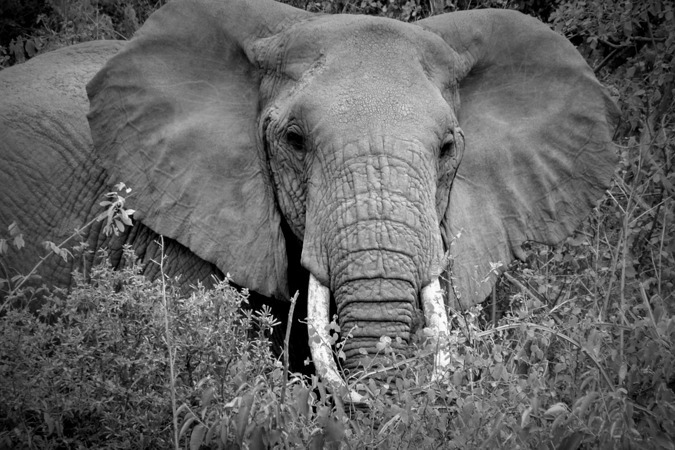 In this week’s news wrap Malaysian authorities discovered 50 pieces of rhino horn in the Kuala Lumpur International Airport in what is believed to be southeast Asia’s largest single seizure of rhino horns; two Tanzanians were trampled to death by elephants in the north of the country; a nationwide survey has revealed that the majority of South Africans believe the captive lion breeding industry is harming the country’s international reputation; conservationists in Kenya are warning of an imminent poaching crisis should proposals to open the doors to game hunting sail through; and police in Cameroon have shut down an international poaching gang after catching six traffickers carrying more than 700 kilos of pangolin scales. 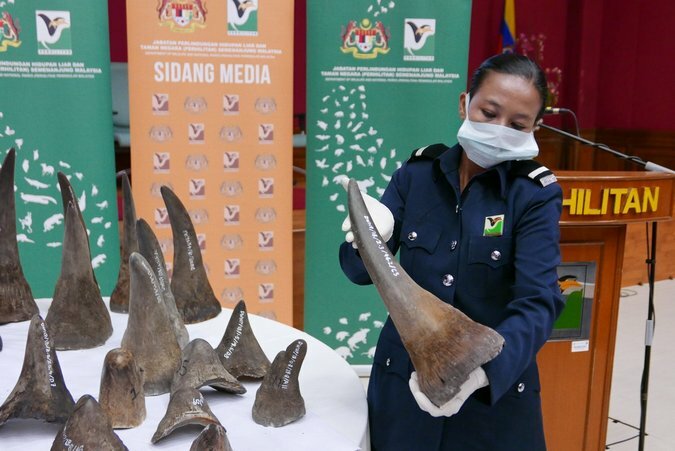 Authorities have discovered 50 pieces of rhino horn at a postal aviation centre in the Kuala Lumpur International Airport in what is believed to be southeast Asia’s largest single seizure of rhino horns. The horns were packed in boxes that also contained nine whole carnivore carcasses, and all were bound for Ha Noi, Vietnam. This incident follows several high-profile rhino horn seizures in southeast Asia in 2017 and earlier this year. It includes a case of 46 rhino horns seized at Vietnam’s Ha Noi’s Noi Bai International Airport in March 2017 that were smuggled in two suitcases on a flight from Kenya. A month later, Malaysian Customs seized 18 horns smuggled on a flight from Mozambique to Doha. 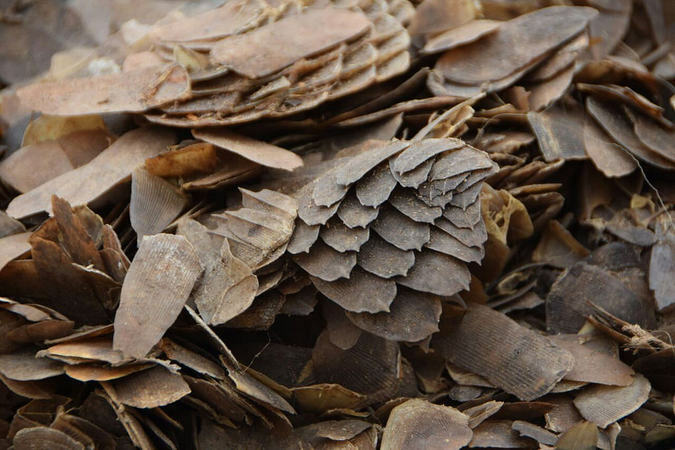 In February this year, Singapore jailed a Vietnamese for 15 months for attempting to smuggle eight pieces of cut horn and a bag of shavings. Just last month, a Vietnamese man was stopped at Tan Son Nhat airport for illegally transporting 12 rhino horns from Angola. The rhino horn seizure took place on 13th August when officials of the export branch of Pos Aviation suspected something amiss with a consignment at the cargo terminal building in the airport’s Free Commercial Zone. They alerted the Royal Malaysian Customs who in turn called on the Department of Wildlife and National Parks Peninsular Malaysia (Perhilitan). The agent who managed the consignment is under investigation, said Perhilitan Director-General Dato’ Abdul Kadir Abu Hashim, who added that initial investigations showed false information had been used in the shipping document. A 24-year-old man and a 70-year-old woman were killed on Sunday in the district of Korogwe by “elephants who had left the national Mkomazi park”, said regional police spokesperson Edward Bukombe. 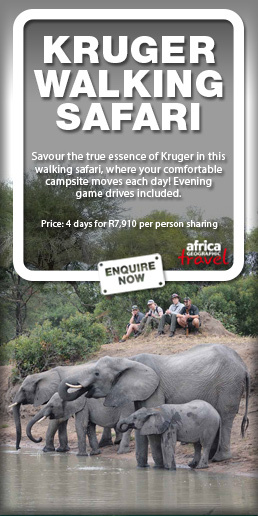 The little-known Mkomazi National Park runs on from Kenya’s Tsavo National Park on the other side of the border, and is situated a short distance from Mount Kilimanjaro. 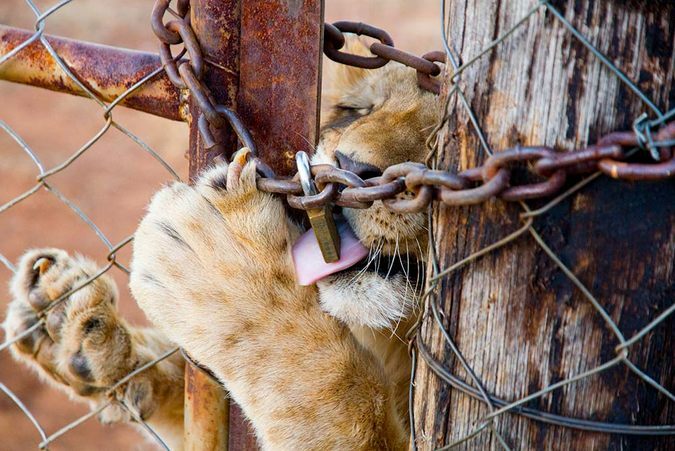 A nationwide survey, by the Humane Society International (HSI), has revealed that the majority of South Africans believe the captive lion breeding industry is harming the country’s international reputation. This announcement comes on the first of a two-day South African Parliamentary inquiry into the lion breeding industry. According to the study, South Africans demonstrate a deep dislike of activities associated with the lion breeding industry, including trophy hunting and canned hunting of tame lions, and are also concerned that the trade in lion bones will stimulate market demand leading to increased poaching of lions and big cats. • And by nearly a six to one margin, 77% strongly agree/agree with conservationists who say that the trade in lion bones will stimulate market demand leading to increased poaching of lions and big cats. 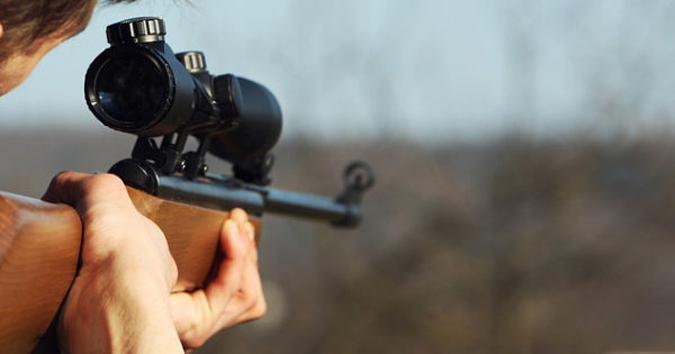 Conservationists in Kenya are warning of an imminent poaching crisis should proposals to open the doors to game hunting sail through. Dr Paula Kahumbu, CEO of WildlifeDirect, told Daily Nation over the phone on Tuesday that the proposed consumptive utilisation of wildlife would be a shoo-in for international wildlife poaching syndicates, who are after wildlife trophies, to return into the country as well as exacerbate the problem of local bushmeat hunters to go on hunting sprees. Police in Cameroon have shut down an international poaching gang after catching six traffickers carrying more than 700 kilos of pangolin scales, a conservation group said on Tuesday. Pangolins, or scaly anteaters, are one of the world’s most trafficked species and are threatened with extinction. Their scales are widely used in traditional Chinese medicine and their meat is a delicacy in many Asian and African countries. The six poachers – five Cameroonians and one from the Central African Republic – were arrested on August 18 in Douala, a coastal city in southwest Cameroon, according to the Last Great Ape Organisation (LAGA). Most of the 718 kilos of scales they were carrying were from the Democratic Republic of Congo, it said.